I started coming to Pathway almost two years ago. When I first started coming, a group of people immediately made me feel connected, and ultimately just super at home (which was weird for me because I wasn’t used to church humans being so great, or humans in general being so great). Aside from that, the message was always great and the worship that we had was amazing. With the worship, the message, and the constant positive spiritual influences, I started learning more and really looking forward to church (which was weird because I was usually totally against every social situation ever). We started up small groups, and all the leaders at Switch are so so great, but mine was especially awesome. She was a constant positive influence, and as the year went on I really got to know her as a person and I really learned a lot from her. I was really confused and didn’t really understand how even the most faithful people go through real struggles, and my leader just taught me a lot. During small group, among all the group conversation, I was inspired by my leader, and the fact that she always stayed so so faithful, even through setbacks and confusion and hurt. That was amazing to me. 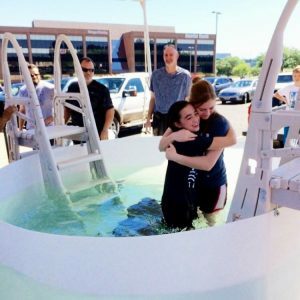 And so I aspired to do my best to have the same faith and same strength, which led to me getting saved…which led to me getting baptized..which leads to where I am now. I’ve grown so much more as a person from two years ago to now, and I have Pathway, and Switch, to thank for all that growth. MyPathway Online is the hub of our church’s community where you can interact with your Lifegroups, give or access your giving records, update your info, and a whole lot more! © Copyright 2019 Pathway Church, Longview Texas.